When you think of the Buddha, you don’t think of marketing. The Buddha was a spiritual teacher, with zero interest in profit. In fact, he forbade his ordained followers from even handling money. But if we agree with Seth Godin that marketing is about spreading ideas, then you could say the Buddha was one of the greatest marketers of all time. Over the last 2,500 years, his teachings have influenced the lives of millions of people, spreading first across Asia, and eventually to the furthest corners of the globe. For several hundred years, in the absence of written records, his ideas survived purely by word-of-mouth. And for well over two thousand years they crossed continents without the benefit of mass communications. The Buddha’s example is particularly relevant if you work for a non-profit, in a ‘helping profession’, or if you want to change the world by communicating your message. But even if you’re running a business for profit, you’ve probably noticed that generosity and purpose are critical to success in the 21st century. It’s also a nicer way of doing things. 🙂 So you may be surprised how much you can learn from the Buddha’s approach. Siddhartha Gautama – later known as the Buddha – was born into a life of privilege and luxury, the son of a king. His father did everything he could to shield him from the realities of life, bringing him up within the confines of splendid palaces. Yet when the young prince grew to manhood and ventured outside the palace walls, he was jolted out of his complacency by three troubling sights: first, a wrinkled old man; next a man suffering from a terrible illness; and then a dead body being taken away for cremation. Finally, he saw a wandering holy man, a symbol of an alternative way of life. Realizing that all his pleasures and possessions would be taken from him by old age, sickness and death, Siddhartha abandoned them, along with his family and royal status, and set out on a quest to find a way of transcending suffering and death. He travelled across India, learning from many different teachers, and trying many different philosophies and approaches. He meditated, fasted, practiced yoga and experienced all kinds of weird and wonderful states of mind. But like all the pleasures of life, he discovered that sooner or later, these blissful states soon came to an end. He even tried torturing his body by denying it food, sleep, and any kind of sensual indulgence. He wasted away until his body was a living skeleton, but this brought him no nearer to the truth. So he gave up extreme asceticism and started eating properly again, restoring his body to health. Having exhausted the paths taught by the gurus, Siddhartha retired to a quiet spot in the forest, sat down cross-legged under a tree, and resolved to stay there until he had found the truth. And after 49 days of solitary meditation, he found what he was looking for. The word Nirvana literally means ‘blowing out’ – the extinguishing of the fires of greed, hatred and delusion that are the roots of human suffering. Once these are gone, there is no more suffering, no more fear of death. 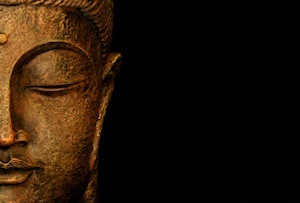 After he had experienced Nirvana, Siddhartha was known as the Buddha, meaning “the awakened one”. Now, I’m not going to presume to talk to you about the Buddha’s teachings after his enlightenment. (If you’re curious, I recommend Steve Hagen’s excellent book Buddhism Plain and Simple.) Instead, I will show you some of the ways he transmitted his teachings, and got his ideas to spread to millions of people, for thousands of years after his death. If you want to get your message across in an ethical and effective manner, whether you call it marketing, teaching or simply communication, here are some suggestions for following in the Buddha’s footsteps. One of the first things that occurred to the Buddha after his Enlightenment was a marketing problem. Having known the unfathomable experience of Nirvana, and looking at the levels of ignorance and confusion among human beings, he concluded it would be futile to even try to educate them. So if you’re feeling discouraged by your lack of success as a marketer, take heart! You can have great knowledge, amazing skills and a lot to offer the world, but marketing is a whole different ballgame. It’s not rocket science, but it’s a different kind of expertise to the one you already have. If an enlightened master like the Buddha can own up to a marketing problem, it gives hope for the rest of us! When the Buddha concluded there was no point trying to explain his discovery, he was visited by the god Brahma, who encouraged him, saying there were some people “with only a little dust in their eyes” who would be able to see the truth. So the Buddha set out to find these earnest souls who were actively seeking enlightenment and would be receptive to his message. A classic marketing mistake is to look for everyone who could benefit from your product, service or message, and try to persuade them of its value. The problem with this is that however much someone may need what you’re offering, they won’t be receptive to your offer unless they want it. Otherwise we’d all be super-organized, fit and healthy, and financially secure, thanks to the helpful marketing of productivity gurus, health and fitness coaches and financial advisers. If we follow the Buddha’s example and focus on the people who actively want what we’re offering (not just the ones who need it), we’ll have a much smaller potential audience — but a much better chance of a positive response. The Buddha’s first attempt at teaching is generally considered a failure. I am the perfectly enlightened one, the Buddha! The other guy scratched his head. “Sure you are,” he thought, as he made his excuses. The funny thing was, the Buddha was telling the plain, unvarnished truth. He wasn’t being egotistical. (By definition, a Buddha has transcended the ego.) And he was giving his teaching away for free. But that didn’t make any difference to his audience. In an ideal world, you wouldn’t have to sell. You’d just tell the truth, or show people your product, or describe your service, and people would instantly see the value and accept your offer. But even for Buddhas, this isn’t an ideal world. And even if you’re making a free offer — say a subscription to your blog or newsletter, a free trial of your software or even a free consultation — you still need to sell it. People are busy, overwhelmed or just plain confused, so it’s up to you to cut through the mental clatter and persuade them of the value of your offer. Meeting five of his friends and fellow seekers in the Deer Park at Varanasi, they asked him what he had learned and he told them about The Four Noble Truths — fundamental principles that explained the nature of suffering and how to transcend it. This was much more successful — the story goes that all five achieved enlightenment, and became the first Buddhist monks. To this day, the Four Noble Truths are the foundation of Buddhist teaching. By breaking his teaching down into four basic steps, the Buddha made it easy for his listeners to understand, remember and share with others. This was especially important given that he was teaching in a pre-literate culture — it would be several centuries before his teachings were written down, so until then they had to spread via word-of-mouth. So if you’ve ever looked at headlines with numbers and thought they were too cheesy or simplistic for your audience, consider that the Buddha’s teaching is one of the most subtle and profound ever expressed. And if you provide a complex service or sophisticated product, you will get better results by breaking it down into simple elements when talking to prospects. Give them three key benefits, or talk them through the three stages of your training program. You can explain the fine detail later, but packaging your offer in this way makes it easier for people to grasp. The Buddha described his path to enlightenment as the Middle Way. This was to distinguish it from two popular alternatives he’d tried himself. As a rich young prince with abundant possessions, servants and a beautiful wife, he had had plenty of opportunity to indulge in sensual pleasures, but he came to realize he couldn’t find relief from the suffering of the human condition in external pleasures, or even a loving relationship. Later, as a spiritual ascetic, he had tortured his body by fasting, meditation and denying himself any kind of pleasure. Finally, he adopted a more balanced approach, steering clear of the two extremes of indulgence and self-mortification. He learned to see pleasure and pain as two sides of the same coin, and to transcend them through the experience of Nirvana. When he set out to teach, he knew he was entering a crowded marketplace, with all kinds of gurus, yogis, swamis and other teachers eager to attract students. Calling his approach the Middle Way allowed him to instantly differentiate it from competing philosophies. Just like the Buddha, you need to position your message so that it stands out from the crowd. It might seem strange to think about the Buddha having a business model — after all, he and his disciples had renounced money and possessions. But just like everyone else, they needed food and basic necessities like clothing, medicine and shelter. Which meant they needed a business model — i.e. a system for coordinating transactions with the people who could supply these things. Unlike most of us, however, they didn’t depend on commerce. Instead, they were supported by a gift economy, driven by donations and generosity instead of money and desire. Each morning the monks went on an alms round, taking their food bowls for the local villagers to fill up. Their clothes and other equipment were all donations. In exchange, the monks provided teaching and conducted ceremonies for the laypeople. This system survives to this day among Buddhist monks and nuns, not just in Asia but in the US, Europe, Australia and other advanced capitalist economies. the essence of any gift, including the gift of emotional labor, is that you don’t do it for a tangible, guaranteed reward. If you do, it’s no longer a gift; it’s a job. When we think of the Buddha, we think of a solitary figure sitting cross-legged in meditation. And it’s true that he attained Nirvana alone. But he also realised that most of us need a little more help along the way. So he established the Sangha — a community of truth seekers, comprising monks, nuns and lay followers. Members of the Sangha supported and encouraged each other, in a community that persists to this day, with millions of members worldwide in the various branches of Buddhism. Lord, I think that half of the of the Holy Life is spiritual friendship, association with the Lovely. That is not so; say not so, Ananda. It is not half of the Holy Life, it is the whole of the Holy Life. If you aspire to make a positive difference in the world, by working through your business, your profession, or your nonprofit organisation, ultimately your success comes down to the difference you make to people around you. So one of the first steps you should take is to find your village of like-minded people — the people you can help and support, and who will help and support you in their turn. The people who will be most receptive to your message. The people who make all your efforts worthwhile. Does the Buddha’s example resonate for you? What can you learn from it? Have you ever solved a similar marketing problem? Let us know about it in the comments. Great post! I especially agree with “focus on the people who actively want what we’re offering.” Your company can never be anything to everyone. It is much better to go after a smaller, yet more targeted audience that you have a good chance of getting to act. Going after a broad audience means hitting more, but less receptive consumers. As a spiritual entrepreneur with remarkable offerings and challenges in marketing them effectively, this article really spoke to me. Wow! This was an amazing post! I’ve been a firm believer in the principles that Copyblogger outlines, and it’s so inspiring to see them show up in other places in our culture. I love how you guys take crazy examples and make them work! I have Steve Hagen’s Buddhism book on my shelf. He also makes a point about not treating others in a way that would be unpleasant for you (a slight rewording of the Golden Rule). Sometimes people forget that part, especially when they’re nervous about starting a new business, or when cash flow isn’t great, and desperation rules the day. The spirit of the message, so to speak, is important. Every story I read about the Buddha shows him being gracious and respectful with his audience. That’s always an important element in marketing for me. Definitely agree with this. One of the things I love about the story of the Buddha is the emphasis on respect and common decency – two concepts that aren’t usually applied to the world of internet marketing, even though it’s something I think we all should be applying to our businesses. Inspiring post. Thumbs up! I love how you linked Buddha and marketing. Find your niche in business and grow from there. Beautifully combined! Spirituality and business can actually co-exist. Great write up. You have very well illustrated discovery and spread of Buddhism. I am a Sri Lankan Buddhist since birth and would appreciate if you consider changing Buddha to Lord Buddha, which gives due respect. Thanks Manoj, I’m delighted it rang true for you as a Buddhist. Re your request, as I’ve written this piece for a general audience, it actually feels more respectful *not* to use the prefix ‘Lord’ – it feels more appropriate to reserve that term for use by devotees. I hope that makes sense. I agree — I think Mark puts it very well. Funny … I think Jesus Christ did the same thing with just 12 followers (at the beginning). In simpler terms: a good marketer knows how to lock into a target audience and provide to their *need*; by doing so, a bond of trust is made, which makes it easier to sell something they *want*. Isn’t it the want of stuff that causes suffering? That’s a pretty basic Buddhist tenet. Just sayin’. Ideas need selling as well as ‘stuff’. Even when they’re free. I love how you’ve gone deep into the story of how Buddha came to be and harvested some the richest parts of that journey and shared it with us. Thank you! Yes, technology changes, society changes, but human nature doesn’t. “To go far, go deep” ~ okay! Love this and the idea of infusing my marketing with the depth of what I’m offering. I’ve definitely stayed away from the “deeper” aspect of what I do … but it always comes up in my clients testimonials … LOL …wonder why it’s taken me so long to realize that I don’t have to shy away from the deep end in my marketing too. Shyness? Fear? Listening to (or rather being bombarded by) too many so-called “experts”? ha ha … okay, so back to the deep end. and Mark … I have certainly resisted the whole “numbers” game, but reminding me of Buddha’s “Four Noble Truths” and how he lived and taught during a time when literacy was not the norm has helped me understand more about why “numbers” help. Thank you! Excellent post! Religion and business do mix! I’d love to put this into our newsletter. What a beautiful post. It was special to me because I’ve written a book on using Buddhist practices to help with chronic illness AND I blog on the same topic at Psychology Today! I mention in the book how Buddhists like to laugh at all the “lists” in Buddhism, especially how many concepts are on multiple lists. LIttle did I know then that lists would become such an effective blogging tool. I was so surprised when a post on the Buddha from this site showed up in my Google Reader! What a treat. I loved this post and how you linked business practices to, well, “practice”. I will be indulging in Steve Hagen’s book as you suggested. Thank you! This is such an inspirational post. So frequently I hesitate to bring my favorite spiritual teachings into my work, fearing that the two worlds will clash or that people will be pushed away by references to such teachings. But this post shows me that I’m wrong. Thank you so much for posting this. What a joy to read and contemplate. Well sometimes they do clash, but I think it’s worth the risk if it gets people to take a fresh look at what they are doing. So many people these days are solely focused on traffic and the size of the audience (as I was). I asked: “How can I get more people to my site” instead of “how do I get the right people to my site”. @Stacey: Yeah I like that point. If you wouldn’t want a product shoved down your throat then the chances are that your audience will hate it too. Do unto others…..
Yep, that’s a much better question. awesome post!! recommended to a lot of people. Thanks Amit, I must admit hadn’t realised Wesak was nearly upon us, but it’s a happy coincidence (unless Sonia chose the day specially…). As Mark says, a happy coincidence! I love this post! It was inspiring and helpful, and came to me at just the right time. Wow what a great article! What an interesting tie in focusing on Budha teaching and Marketing. I never would have linked the two but the tips are valid. It is always interesting how the most simple things can be the most effective. Great job in showing that there was nothing overly complicated in Buddhas message even though he was conveying an incredibly complicated concept, and how that same uncomplicated approach can be used in marketing your own (possibly) complicated project. Yes that’s it! If the concepts are complex, it’s actually even more important to communicate them as simply and clearly as possible. Mark McGuinness…what a fantastic post. Copyblogger…you never cease to amaze me with your content, Bravo! Mark, the level of thought this article took makes me wonder how long it took to create? Was this something you “wrote in your head” over a period of time? Or did you bang this out in a day? I ask because I am conscious of the time it takes me to write–maybe self-concious–so I’m interested in the creative experience of other writers. Again…your post is a true delight to read. I got the idea while ago and the basic outline wrote itself in my head pretty quickly. But it took a while to draft and craft it to the point where I thought it worth submitting to Copyblogger. Thank you, Mark. This post has encouraged (and reassured) me about going forward with an e-book that I am determined to write. It is disheartening to want to offer something to others that would enrich their lives but to not feel confident about moving ahead. Your post has given me encouraging insights about achieving positive results. Wow. What an amazing post. Buddhism has always attracted me for its ability to apply to basically everything in modern life. You make an amazing example here using the Buddha’s story to explain marketing principles. Thanks for the amazing post… sometimes well all need a little Buddha in our lives to remind us that mindfulness is important. This is a simply brilliant article. However for non-Buddhists some of the references might be a bit esoteric. As I am familiar with the story of Buddha, this all made perfect sense to me. On the other hand, those without a basic understanding of the Buddha’s teaching may struggle to see the connection to their marketing issues. As you indicated clarity and simplicity are indeed the hallmarks of good marketing. So to is finding those who only have a little dust on their eyes. Indeed how to you share enlightenment with those who do not already seek it. Simply show them the next step on the path. We have a highly diverse audience! I, for one, get a bit lost when we run posts about Eminem and Fifty Cent. “Realizing that all his pleasures and possessions would be taken from him by old age, sickness and death, Siddhartha abandoned them, along with his family and royal status, and set out on a quest to find a way of transcending suffering and death. Good question! I’d guess you’d have to be a Buddha to know the answer. Good answer, Mark is a mystic…. then aren’t we all….read into his reply, Jane, and you will understand something deeper. The Buddha is Within. So are all the Prophets and Masters. So is God. The recognition of this amazing fact shows us the generousity and compassion of the Creator. Which is You. Mark, thanks for the post. I’m knocking it up into an abridged LIST to share with my community! Religions (whether or not you believe) provide some of the best examples of gamifying. Buddhism, according to the way I worship, also has an interesting way of maintaining engagement, because giving offerings at a Buddhist shrine brings luck, but failing to do so is unlucky, and destroying a shrine is very bad. Great post Mark. You really got my attention when you employed the Budda to draw analogies to marketing and finding your audience! Mark, this was a very well written post. What a fantastic use of the Buddah to get across the point of finding your target audience. Giving of ones self first in order to find what helps others is extremely compelling and so true. Thanks for your contribution. It is a valuable contribution. Even so, I was pleasantly surprised to find an article about The Buddha on a marketing site. I thought I had stepped into a cult of sorts and had to check my pulse. Oops. Making sure I was still alive, I decided to move forward. I made progress and managed to read your entire article. Buddha and marketing is an interesting juxtaposition. You are not afraid to question conventional norms. Buddha left his wife, child and kingdom because, in the end, he would have lost them as well. In fact, he was sure to lose his own body. So, I think he was interested in an out-of-the-body experience. In other words, he wanted to transcend the body and find wisdom in the inner experience of just being. Buddha’s natural charisma meant that he would attract followers, sooner or later. Sure, it took some work, but people came to their senses. You just know when you are in the presence of the awakened one, a true guru. Such a person radiates calm and some say there is even an auro or halo that surrounds them, like a light piercing through the darkness. Cheers. I love posts like this that help me take the principles Copyblogger teaches and put them in real world context. And I promise to never again dis the “numbered list” post! How do I love thee Copyblogger? Let me count the ways! Great article. It is always important to study and understand history in order to learn from, not only the success’, but also the failures of our past influencers. In an era where there were no formal recordings, it must have been a true importance and struggle to establish a credible and understandable new idea. Buddha can be seen as a true historical entrepreneur and his story can easily be transcended into modern experience. Like Buddha in the woods for those 49 days, it is important to make sure you establish your companies’ beliefs and morals right from the beginning. It took the process of Buddha stepping outside of his sheltered walls in order to understand that there is an opportunity for, and must be, change. In order to be successful and relevant, marketers must do the same from time to time. As we read through Buddha’s experiences, with a new idea comes confusion. When you first introduce a new product, this is the stage where quality may be more important than quantity in terms of your customer base. Establish your value to those loyal customers (though they may be few at fist) and if they believe in your product or service enough, they will do most of the word of mouth marketing for you. We see the power of this through much of Buddha’s success which came from only five Buddhist monks who believed in his teachings at first. With this growth in loyalty comes growth in credibility. Again, great article and wonderful correlation. “with a new idea comes confusion”. It all starts and ends with confidence. The more confident you are in your idea, the more confident your customer or followers will be. Mark, this is such good information for people helping people. I find that the more people want to do good, the harder it is for them to market. You’ve laid it out in a way that shows how they can remain in integrity and still connect in a powerful way with their target market. I’ve linked to the post from a Facebook group of ministers, speakers, musicians and teachers in New Thought (Unity & Religious Science) denominations because using Buddha as the model is something they can all relate to. Me, I’m going to print it out and study it. Thanks! Thanks Wes, really glad it resonated for you. I hope it’s helpful to your group’s members. And thanks for spreading the word! What a great article! As a yoga practioner and CMO to my company, I never considered the link between “walking the path” and marketing for my company. Although a fundamental of Enlightened Marketing is showing a strong sense of social, ethical, and environmental commitment-so it does make sense. I agree it’s about paying attention to the niche that will actively listen and sit up and take notice. It’s also about having a passion for giving back. Consumers want to see more companies that actively participate in their community. In fact, it’s the reason we give a certain percentage of our membership fees to a non-profit that our clients select on our site. Business much like the human body cannot be healthy without balance, and to take we must also be willing to give of ourselves and our resources. Thank You, Thank You, for noting and discussing the importance of giving back. Companies that place an emphasis on this practice are helping others everywhere by being generous and sharing-if for no other reason than for the good feelings associated with assisting others in need. Religions have done a marvelous job of marketing throughout the centuries. They’ve had to because as Jay Abraham puts it, “The definition of marketing is the constant and never ending education as to why you should do business with me over anybody else.” A religion doesn’t do this, especially in the beginning, they become extinct. I love, love, love this post! Is it because I’m fascinated with the Buddha, I’ve worked for nonprofit organizations for the past 17 years, or I’ve always thought the plain unvarnished truth should be enough to make people see the light? Yes, yes and yes. I plan to bookmark this post and read it over and over again. Thanks! Wow! Super Zen post! I spent a couple of years living in Asia and was fascinated by the Buddhist monks. I would often see their offering bowls outside of the doors of homes and, as you say, they were full of offerings. What an outstanding correlation to business today! Thanks for writing this Mark! Wonderful, very useful post — I have practiced Nichiren lay Buddhism for 42 years (SGI-USA) and have tried to inculcate it’s spirit into the business world — not always an easy proposition, but, of course, well worth the effort. I’d recommend The Buddha in Your Mirror as an excellent overview of this non-traditional, very daily life oriented Buddhism. I’ve also written two relevant books: Romancing the Buddha and The Enlightened Manager. And, I highly recommend any of the many books by Daisaku Ikeda. Thanks for the book recommendations Mike, will check them out. As a nonprofit CEO and a practicing Buddhist, I loved this article and forwarded it to my marketing committee. Thanks, Mark, for putting it out in the universe and thanks Mike L for mentioning the wonderful book The Buddha in Your Mirror. I usually skim such long posts in my RSS feed, but I am glad I took a few minutes to read this completely. I especially enjoyed your breakdown of the Buddah story. Thank you! As a Brand strategist I’ve enjoyed reading your article. An excellent post, true to it’s core within a Branding process. Thank you for sharing and will share it amongst my audience as well. Mark – Your words are always well worth reading even though you often take us on ‘roads less travelled ‘ the rewards are rich content I can engage with and use. For Zen creatives it can be a slower path to enlightenment but finding copybligger is a bit like the bodhi tree – sit there long enough paying attention and enlightenment will come. Sometimes the fruit that drops is just perfect and moves us closer to our own messsage. Know that your efforts are truly appreciated.- I feel a ltlle closer to marketing enlightenment. I like the way you were able to connect Buddha and marketing. At first glance, it’s an unlikely tandem, but eventually you were able to wheedle your way to link these two disparate subjects with your smart choice of words, quotes and examples from Buddha’s life. To be honest, I just do personal blogs. But each of them has a higher purpose – to make the world a better place one blog post at a time. This post justified and encouraged me a lot to continue, plus it gave me ideas on how to promote the good news to others. Thanks so much. Thanks Precious, glad you like it. Actually I didn’t have to wheedle – I saw a connection between two things I’m interested in, and I think it’s a genuine one. I was impressed by the way the Buddha didn’t just rest on his laurels after achieving enlightenment, but rolled up his sleeves and got on with the work of transmitting what he had learned to others. Plus his humility and willingness to adapt his approach when his first attempts didn’t work out very well. Sorry for the term “wheedle”. Wrong choice of word – my waterloo when I write. But yeah, I admire the way you were able to create this post.. Just didn’t write my comment correctly. Sorry. And yes, I also agree with you regarding the Buddha. I admire the Buddha in a certain degree. He is indeed one of the most influential person who ever lived! I admire his precepts and teachings too. Regarding your post, I also appreciate the fact that you were able to add some information about Buddha per se. In connection with this, I would like to ask permission if I could use your article as part of my resource/bibliography when I get to study Asian Drama and Asian Antiquity this coming semester. I have a feeling I will be needing your unique insights when I do my final papers for both subjects. On another note, I plan to do an article similar to this but using Saint Francis of Assisi. Known for the Belen, Stigmata etc. I plan to do a personal blog on how effective he was on spreading God’s word through the Church. Your article inspired me and your post is a wonderful template for the article. I have handful of resources and as a Franciscan youth, I received formations and information about this unconventional saint. I wish I can pull it off somewhat. I want to inspire people that they too can make a difference like St. Francis using simple means. Thanks for leading the way. Thanks again for an inspirational post. And I’d like to see your St Francis piece – drop by http://lateralaction.com and let me know when it’s done! Regarding the St. Francis piece, I am not much of a good writer, but I’d still love to share that blog post with you since your work helped me start it. As for the URL, no problem I will add it in the bibliography and once I place my final papers to my theatre blog (http://teatro_leecundangan.blogspot.com/), like what I did with my Shakespeare’s Tragedies and Theatre History, I will link my blog post to this article and http://lateralaction.com. Thanks again for your kindness and generosity. He spent a number if days in the desert (40 days) to reach spiritual maturity. He used parables to convey his message. He thought his teachings to disciples who spread his message along the generations and appointed a successor in St. Peter and the popes. Yes, it would be odd if they didn’t follow the same pattern. Human nature is basically the same wherever (and whenever you go) so the same principles will come into play whenever someone succeeds in getting their message to spread. Thank you, Mark. This is exactly what I needed and have been looking for. I resonate with “Telling the Truth is Not Enough” — the inevitability of sales is an important issue that can’t be sidestepped. But we should would like to do that, wouldn’t we? Interesting article — thanks for sharing! But we should would like to do that, wouldn’t we? Interesting….deriving marketing lessons from the life of Buddha !! It seems that just as some people have problems connecting spirituality to money (they think they have to be poor to be good) there are those who think marketers are snarky and to be avoided at all costs, making us seem un-spiritual. But Buddha was a marketer; selling his ideas to the ones who needed it. I have a friend who says the biblical Paul was the greatest marketer of all times. The new marketer has to find others with similar ideals and connect with them on a trust level first. This is a great article connecting marketing to the spiritual nature of the gift of commerce. Great piece! FINALLY. Marketing concepts presented in a way that makes sense to me. Have you seen what Seth Godin’s been up to lately at http://www.thedominoproject.com/ ? And have you read “Do the Work”, the free e-book by Steven Pressfield? Yes, I’ve seen the Domino Project and devoured Do the Work in one sitting! This is a great post. Not only did I learn a lot about the Buddha (something that is quite rare for a marketing treatise) but you also related it quite well to core and essential marketing principles. An astonishingly good post, Mark. Thanks for this. As a zen practitioner and professional marketer, I sometimes struggle to reconcile capitalism with spirituality. This article touches on a lot of things I’ve been thinking about lately. When marketers succeed and sales increase, theoretically it creates more employment, better wages, higher standard of living, etc. I’d like to see the balance of generosity and profit carry through not just for us as marketers and our target audiences but for greater corporate entities and the ethics of business as a whole. I hope this attitude continues to become popular! Thanks Susan, and welcome to Lateral Action! I must say most of my days are not very Zen like, but a great way to look at things from a fresh perspective. Mark, I think that was the longest post I ever read. Did you hear that? I READ it all. Good job. Being from Nepal, place where Buddha was born 2555 years ago, I can relate to this post very well. You bring a good analogy here Mark. As with all the marketers, doing the basics right is the hardest yet most important lesson. Targeting-segmentation-positioning are the terms that we refer again and again multiple times yet fail to implement properly. Buddha learned those from his ‘experimentation’ to good effect, applied them, and improvised on them. That’s why he is Buddha as we know today. We might as well call him father of modern marketing if you like. Many Thank ! some time we need people to remind us the pass is for the future too. reading is good, reminder is better still. This article literally blew me away! I am an admirer of Siddartha Gautama’s life and I’ve always respected his life as Buddha and how he has influenced a totally new way of living. To be breathing life into his teachings and applying it to marketing is truly amazing! I have learned a lot from this post of yours. Truly enlightening! Helping people who help people to help more people is often an uphill climb. Thank you so much for this thoughtful, practical perspective. I’ve shared it here http://www.facebook.com/ReikiMed to help Reiki practitioners get out of their spiritual shell. We need to develop our businesses if we are to make a difference in our communities. We can be caring, ethical and practical–in fact, these qualities enhance rather than contradict one another. And so supportive to read the comments and learn how others address the spirituality/capitalism interface. A truly enlightening and inspiring post. Some things need to be experienced rather than described. Savvy marketers always make the effort to convey the experience in the form of benefits and advantages rather than emphasizing the process. It leads to people who are receptive approaching you to know more. How you then put up what you want to say is important if you want to hold on to your new found audience. Only then can you go into the details. Finally building a community revolving around a sustainable model ensures your efforts are not one time but self sustaining. Some great takeaways. Thanks. Thank you, thank you, thank you! Your posting is perfectly timed for me! I have my own business and have struggled with ‘capitalizing’ on my spiritual work in the world since day one (11 years ago). I could relate immediately to the Buddha and his approach in life and in getting the message out there. Thanks so much! Great post. You actually convinced me that Buddha was a great marketer. Actually, I believe that marketing ideas are everywhere we just have to be more sensitive and they are around us. It is up to us to absorb and utilize.